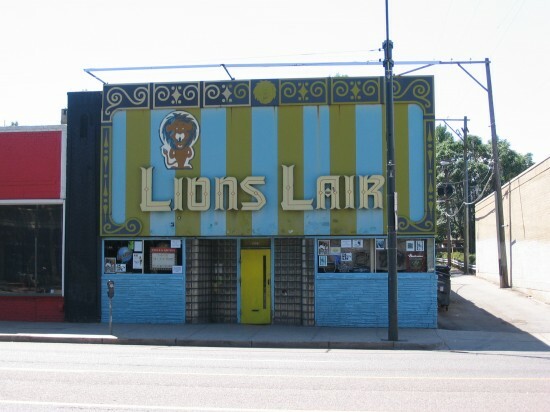 Lion’s Lair. 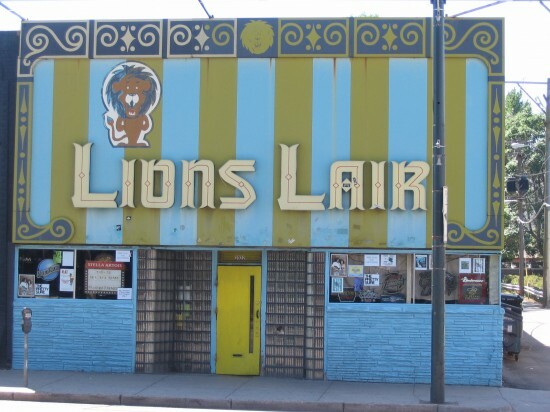 Another Colfax Avenue treasure in Denver, Colorado. Completely fantastic looking!!! I would like to move in here. Any idea when it was built? Many times the artwork in dive bars is done for barter by a loyal patron. utterly fantastic facade..LOVE the colors and design!!!!!!!! !